December 5, 2018 (Pacific, MO) – With 2019 right around the corner, we are crazy busy getting all the BIGFOOT trucks ready for a very busy first quarter. 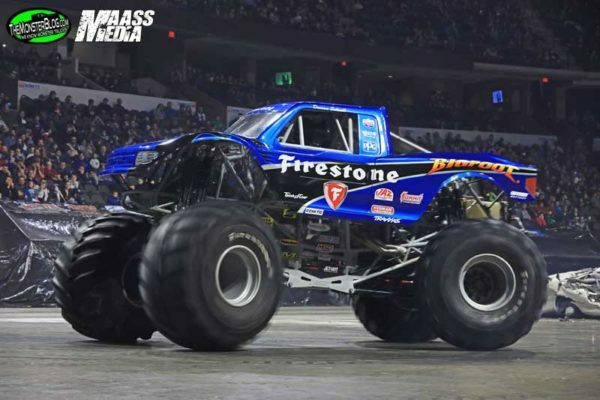 We have Larry Swim all set to defend his TOUGHEST MONSTER TRUCK Tour Championship. The first event is in Prescott Valley, AZ the weekend of January 12, and, as everyone who follows the series knows, winning this series will NOT be easy! Good luck Larry! Darron Schnell and Christian Norman will be featured in the all new HOT WHEELS MONSTER TRUCKS LIVE Tour, scheduled to start in Edinburg, TX the weekend of January 5. Darron will be running a Classic BIGFOOT design and Christian will be in an all-out Racer (more details to come)! You’ll see Darron take on 5 Replica HOT WHEELS Trucks – you will not want to miss it. Good luck guys! New comer Mike Miller and Veteran Rodney Tweedy will also be out racing this 1st quarter, starting with the weekend of January 18 in Bossier City, LA. Good luck to you guys! So make sure you check out the BIGFOOT4x4.com/Events for all the monster truck promoters and event details for all of the upcoming exciting action!